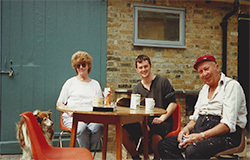 In the late 1980s, a group of friends met up regularly to draw together. 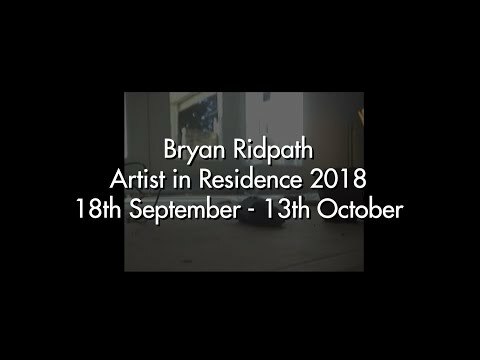 They began to envisage a wider community interested in nurturing its creativity – not just in each others’ homes – but at a local arts centre. 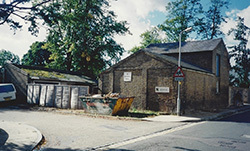 The group expanded and moved to The Pioneer Hall in Hertford. In time a more permanent home was needed, so the group approached East Herts District Council for vacant premises in Hertford. Highways Yard, an old derelict stables block in Port Vale, was suggested. The council approved plans for the conversion of the site to an arts centre, agreeing an award of £50,000 and a low-cost lease. 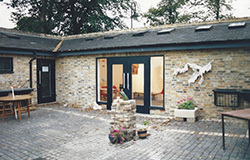 Pioneer Arts became Courtyard Arts Centre, obtaining charitable status and a board of Trustees. The extensive renovation works to transform the building began in the autumn of 1995 and were completed in May 1996. 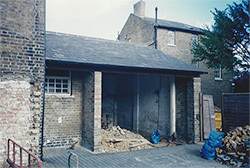 Alongside members of the group, many local tradespeople volunteered their time and skills to transform the old stables into studio and gallery space. 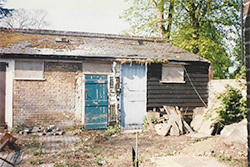 The original horse stalls and hay baskets remain, with the former groom’s accommodation converted into artists’ studios. Made locally, the wrought iron gates to the centre were a reminder of the building’s equine heritage. The Robert Kiln Trust covered the cost of a ceramics kiln and a donation of £10,000 was made by Littlewoods Pools. Fund-raising events were held, grants applied for and local support elicited. Courtyard Arts Centre opened its doors in 1996. The first children’s art workshop was held in August, followed by other popular arts and ceramic classes. The centre was officially opened in September by film critic and local resident Barry Norman. 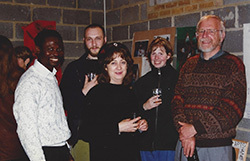 The success of Courtyard Arts grew and funds became available to employ a part-time administrator. Later, a part-time Director was appointed. Much of the work responsible for Courtyard thriving was however carried out by dedicated volunteers, as it still is today. Courtyard Arts is a self-funded charity, now running a packed and popular programme of classes, events and outreach activities. The Gallery hosts over 25 exhibitions a year, as well as curating the programme of exhibitions at Hertford Theatre Gallery. 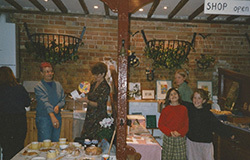 Over time a shop – selling unique gifts by local artists – and a small cafe have been added, raising income and enticing people into the Centre. …and Courtyard members still meet every week to draw, to paint and to socialise with fellow artists and friends.